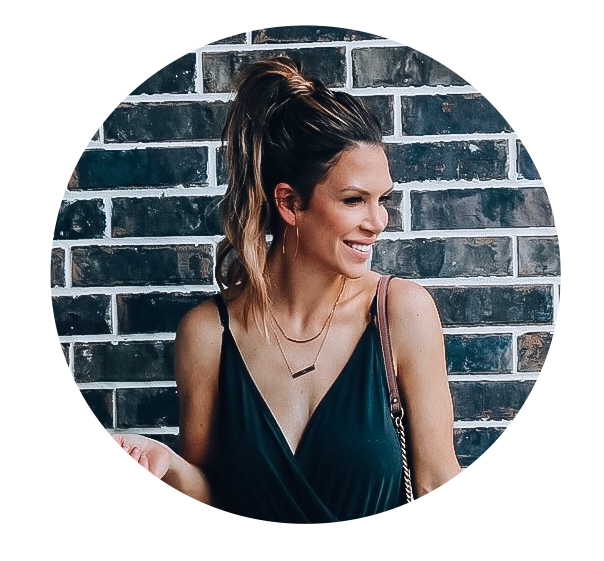 This time of year gets me so excited for so many reasons: Cooler weather, pumpkin spiced lattes, fall fashion and did I mention pumpkin spiced lattes??? 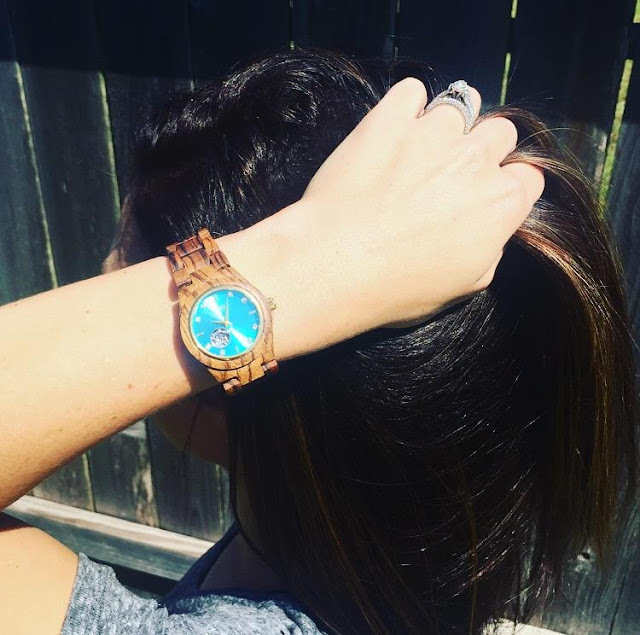 I am really excited about today's post because not only do I get to share this gorgeous, unique wood watch with you but I also have a really fun giveaway to announce! Spoiler alert....there will be one grand prize but EVERYONE who enters gets a little something too! All the details will be posted below! Now, back to this beauty! I am so in love with this unique timepiece! 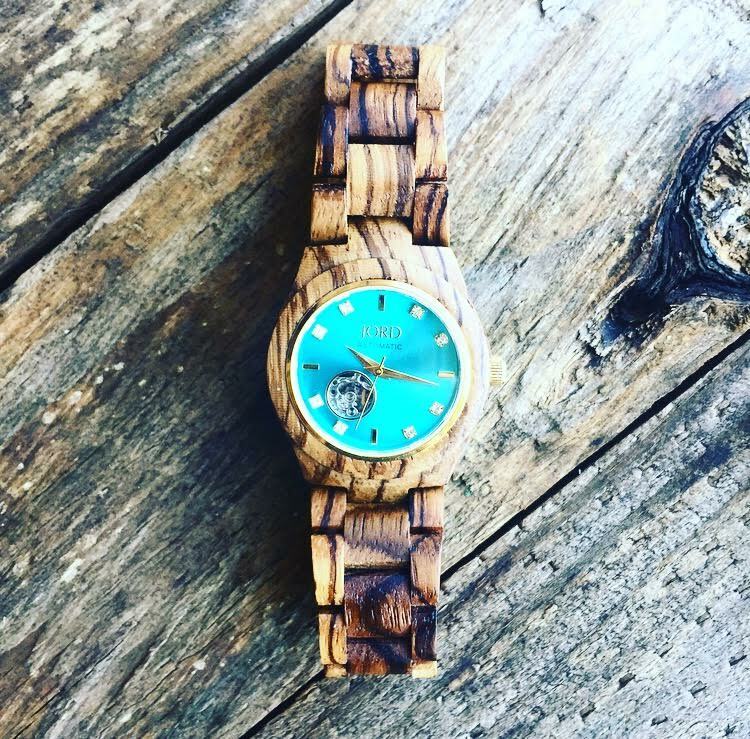 Raise your hand if you have never heard of Jord Wood Watches ?!?! If you are new to the game, let me fill you in! Each piece is uniquely handcrafted out of wood...yes wood! Now I know you must be thinking that this watch is super heavy, however, it's just the opposite. It's actually one of the lightest watches I own, which I LOVE! 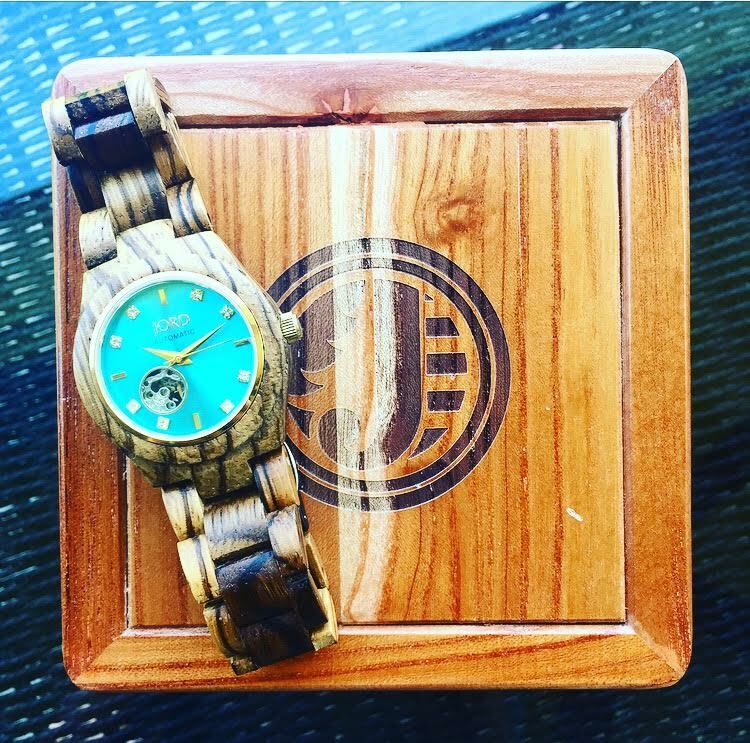 They also come with the most amazing wood case to store your new watch and keep it in perfect condition! I am wearing the beautiful Cora Series: Zebrawood and Turquoise watch. I love the pop of Turquoise and the swarovski crystal markers to add a little bling to your arm candy! This particular piece is a self- winding, automatic watch and requires no battery which, let's face it, makes life soooo much easier! There are so many gorgeous women's and men's watches to choose from and would even make the perfect gift ....hint, hint...Christmas will be here before you know it! (how crazy is that) I actually have a few I've had my eye on for my husband! 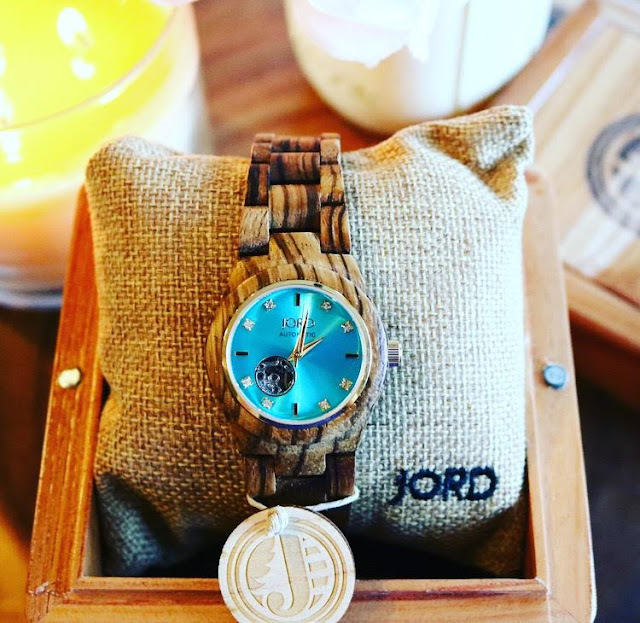 As I mentioned earlier, I've teamed up with Jord Wood Watches to host an awesome giveaway for all of you! One lucky guy or gal is going to win a $75 e-voucher towards any Jord Wood Watch you choose! The giveaway will end on Sunday, 10/16/2016 so make sure you get your entry in! To enter, simply click HERE and you are all set! Thank you so much for stopping by and I hope you all have a wonderful and blessed week! 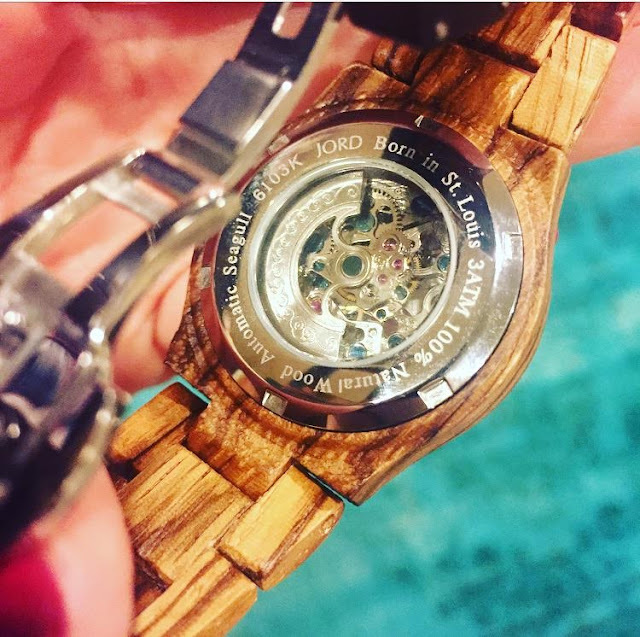 This post was sponsored by Jord Wood Watches! 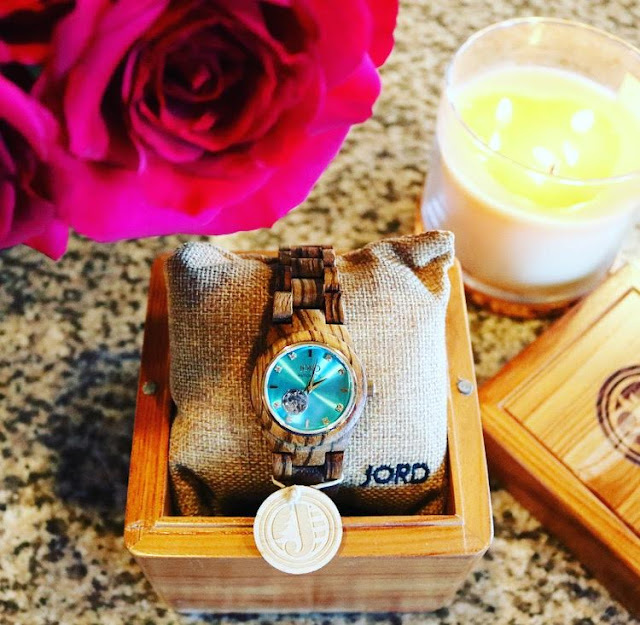 This Jord watch is gorgeous! 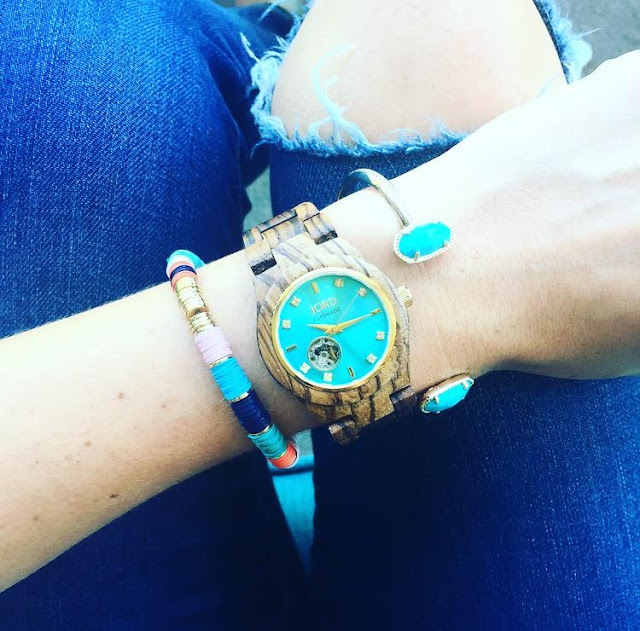 Especially styled with that turquoise bracelet. Gorgeous. I love that watch! Great choice. 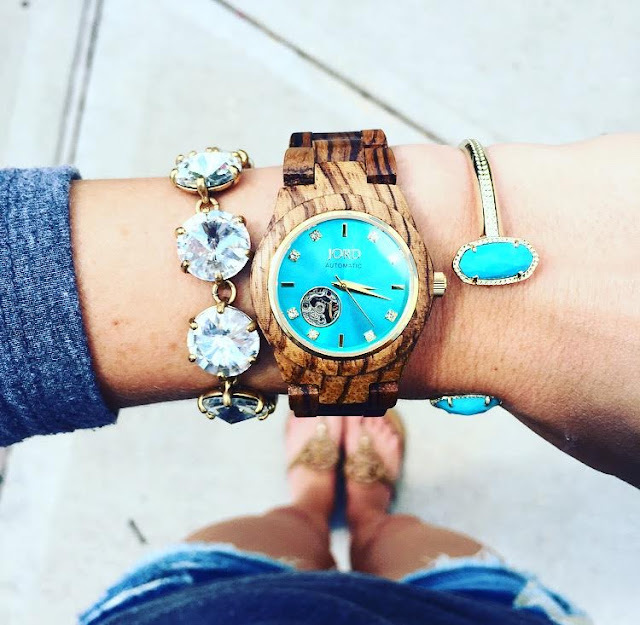 This watch is so pretty! I love the pop of color! So chic! Love the idea of a wood watch. it's so light too! love it!! JORD watches are the BEST! LOVE the colors you have! I bet the navy blue is sooooo pretty too!